The classic profile of the H2000 by Charles Owen is covered with thick pile Italian velvet. For extra comfort, it is lined with absorbent cotton and the supersoft headband is coated with Nanotec silver for hygiene and freshness. 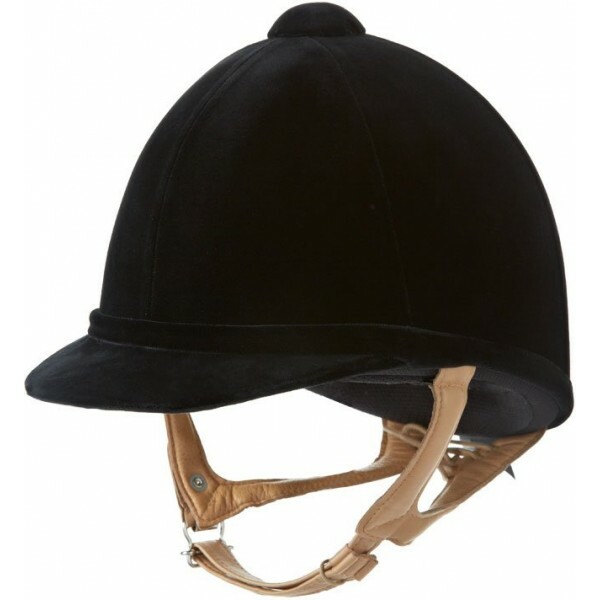 It incorporates a high energy absorbing peak that enables riders to retain a smart and traditional appearance, whilst remaining safe.